Whether you are a patient, surgeon or facility, Tejas Anesthesia, P.A. is here to provide you with more information and assist you with all your anesthesia needs. 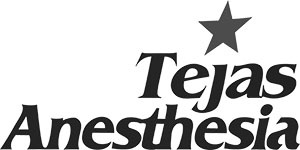 Tejas Anesthesia, P.A. strives to maintain the highest integrity in relationships with patients, professional associates, corporate personnel, and the community. It is our mission to define excellence in anesthesia care by providing the highest quality care encompassing all areas of anesthetic management in a highly professional and cooperative manner. 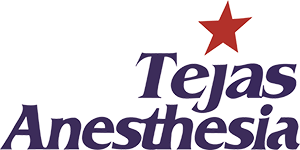 Comprised of over 100 board certified or board eligible physician anesthesiologists, Tejas Anesthesia, P.A. physicians are highly trained and are committed to providing safe and patient-focused anesthesia care of the highest quality. Many of our anesthesiologists are specialty trained in obstetric, pediatric, cardiovascular, orthopedic, and neurologic anesthesia. We have a team of providers that subspecialize in obstetric anesthesia to help the mother and baby during childbirth. Every woman’s labor is different and the amount of pain you feel differs as well. Your obstetrician will consult with an anesthesiologist to evaluate the best choice available for pain control. To learn more about epidural analgesia and childbirth, please click here. Tejas Anesthesia, P.A. prides itself on having a premier team of pediatric anesthesiologists. Many of our providers are fellowship trained in pediatric anesthesiology or pediatric cardiothoracic anesthesiology. Our team of providers will ensure your child will have a safe and individualized anesthetic during their entire surgery. To learn more about your child and anesthesia, please click here. Tejas Anesthesia, P.A. has the largest group of cardiothoracic fellowship trained anesthesiologists in San Antonio, Texas. Not only does our team of providers keep you asleep during your surgery, but they will help to protect your heart or other vital organs during the operation and help relieve pain postoperatively. To learn more about cardiovascular anesthesia, please click here. 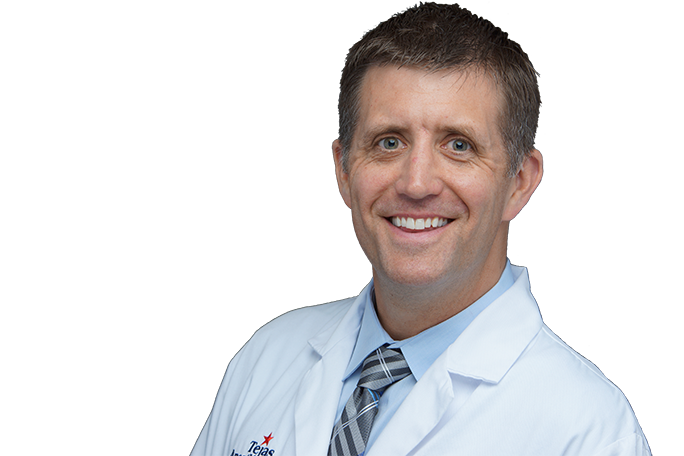 Whether it is a procedure for a fracture or joint replacement surgery, Tejas Anesthesia, P.A. providers offer a variety of anesthesia techniques, including general or regional anesthetics. We will work with your surgeon to determine the best type of anesthesia to make you comfortable throughout the entire procedure. To learn more about orthopedic anesthesia, please click here. Tejas Anesthesia, P.A. providers have an advanced understanding of brain and spinal cord surgeries. We feel it is important that all providers are trained in the care of neurosurgical patients. Tejas Anesthesia, P.A. also provides anesthesia for radiology procedures to ensure a patient’s comfort. To learn more about neurological anesthesia or how we can help with your radiology procedure, please click here. Acute pain or postoperative pain services are important to patients, surgeons, and facilities alike. Tejas Anesthesia, P.A. is eager to help consult and assist nurses, surgeons, or other care providers evaluate patients experiencing problems with pain. To learn more about our acute pain services and how Tejas Anesthesia, P.A. can assist you, please click here. Whether you are a patient, surgeon, or facility, Tejas Anesthesia, P.A. will strive to give you the quality service you deserve. Proudly serving San Antonio, Texas since 1994, Tejas Anesthesia, P.A. comprises of over 100 board certified or board eligible physician anesthesiologists. Our current group structure consists of six divisions, which provide a broad range of anesthesia care, including obstetric, pediatric, cardiovascular, orthopedic, and neurological anesthesia. Tejas Anesthesia, P.A. is a referral-based practice. Tejas Anesthesia, P.A. actively participates in many quality and patient satisfaction initiatives, including the Anesthesia Quality Institute as the largest anesthesia quality registry in the country. All our providers also engage with surgeons and facilities to ensure their success. Contact us today to learn more about our physician medical group. Call (210) 615-1187 or click here. Tejas Anesthesia, P.A. offers and maintains this website to provide information of a general nature about the conditions requiring the services of an anesthesiologist. The information is provided with the understanding that Tejas Anesthesia, P.A. is not engaged in rendering surgical or medical advice or recommendations. Any information in the publications, messages, postings, or articles on this website should not be considered a substitute for consultation with a (board certified) anesthesiologist to address individual medical needs. Individual facts and circumstances will determine the treatment that is most appropriate. This information is meant for residents of the state of Texas and any others who read it do so at their own risk. Copyright © 2017 Tejas Anesthesia, P.A. All rights reserved.